Take quality Italian-American cuisine, pair it with electrifying music and amazing views of the city and you undoubtedly have the trappings of a bona fide F&B hit on your hands. That’s what the proprietors of LAVO Italian Restaurant & Rooftop Bar are fortunate to have as the restaurant has been attracting droves of diners ever since it opened its doors at the iconic Marina Bay Sands. 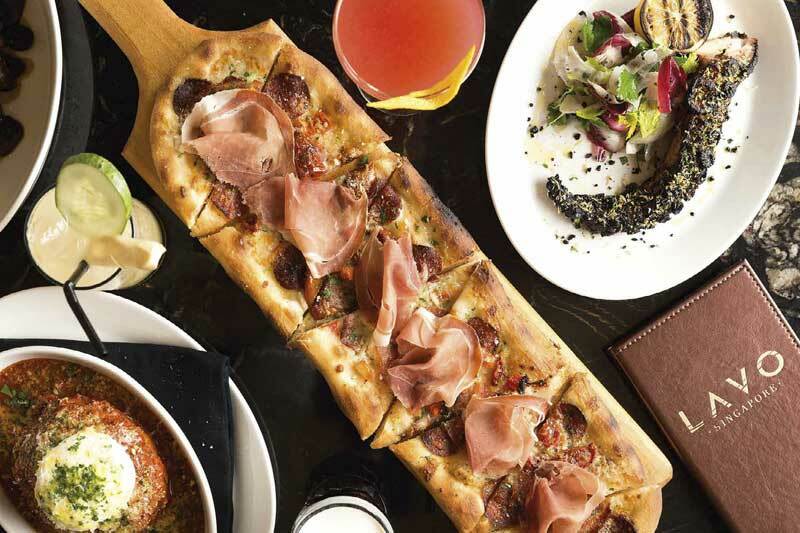 Nestled on the 57th floor of the hotel and offering 180-degree views of Singapore’s spectacular skyline, LAVO favours classic Italian-American dishes like Chicken Parmigiano and the staple meatball, done of course with a twist using fresh Imperial Wagyu Beef and Italian sausage. The restaurant also flaunts a luxurious lounge complete with a fully-equipped DJ booth as well as an outdoor bar and terrace.